It is estimated that up to 100,000 plants, representing more than one third of all the world’s plant species, are currently threatened or face extinction in the wild. 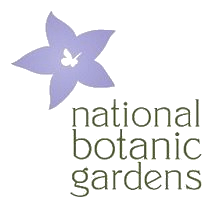 Botanic gardens worldwide, including the National Botanic Gardens at Glasnevin, are playing a key role in protecting plants for the future. Faced by this potential crisis for plant diversity, in 2002 the United Nations Convention on Biological Diversity adopted a new global plan – the Global Strategy For Plant Conservation – now endorsed by 189 governments, to help reverse the decline of plant species by 2010. After four years of progress in implementing the plan a ‘mid-term’ review is being conducted to evaluate progress to date and propose new urgent actions for the remaining four years of the plan. 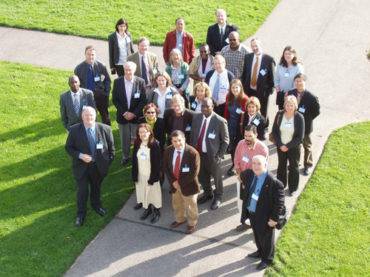 To assist this review, the National Botanic Gardens hosted an international meeting of experts from 23 countries over three days at Glasnevin from 23-25th October. left to right: Dr. Toby Hodgkin (International Plant Genetic Resources Institute, IPGRI) Dr. Nelson Zamora (Costa Rica) Dr. Monica Moraes (BioNET) Prof. Brian Huntley (South African National Biodiversity Institute, SANBI) Dr. Haigen Xu (China) Dr. Eimear Nic Lughadha (Royal Botanic Gardens Kew) “We are delighted to welcome such an important high-level group of experts to Glasnevin and pleased that we are able to contribute to such an important worldwide initiative in safeguarding plant resources for the future. Although the delegates will spend much of their time in working sessions, we will ensure that they have an opportunity both to see the magnificent glasshouses restored by the OPW over the last few years and to examine some of the highly endangered plant species we are protecting in them”.